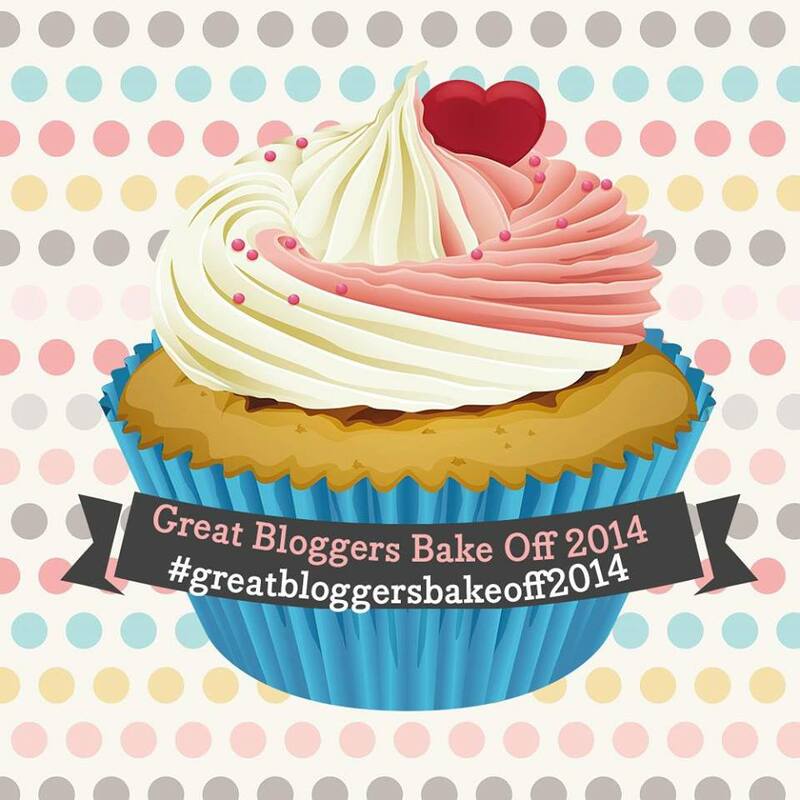 This week’s #greatbloggersbakeoff2014 features something I’ve wanted to try for a while – Baked Alaska. Apparently Rob and I both had a very deprived childhood, as neither of us can recall ever having even eaten this, let alone made it. Challenge set! 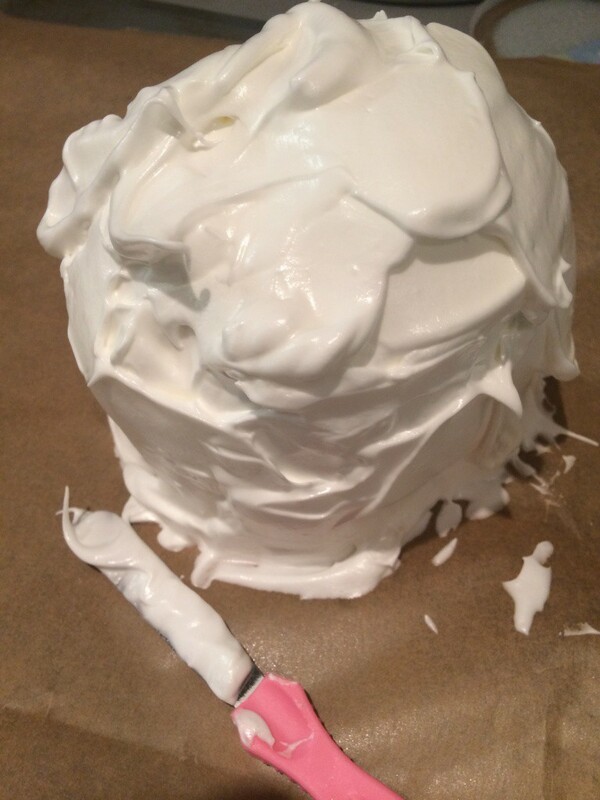 One thing that struck me about this week’s GBBO program – unless I missed something – was that none of the contestants actually baked their Alaska, they just blow-torched the outside. Surely this is cheating?! I wanted to do things the proper way, and loosely followed this Mary Berry recipe, scaling down slightly for just the two of us. Time and equipment not permitting, I must admit I didn’t make my own ice cream. We do actually own an ice-cream-making KitchenAid attachment, it was on promotion when we bought the mixer, but doesn’t actually fit in our freezer, so sits in the cupboard unused! 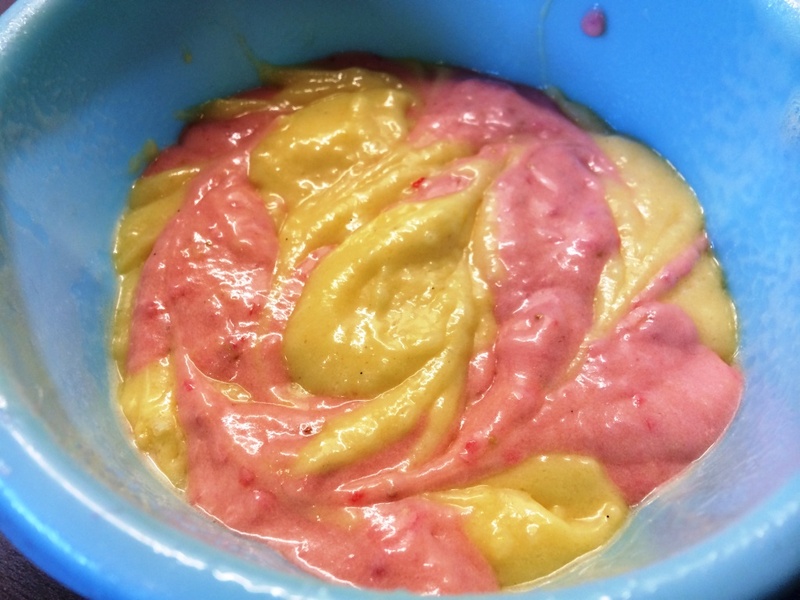 For the sponge base, I divided the mixture into two, and added a tablespoon of strawberry puree to one half, and half a teaspoon of vanilla to the other. 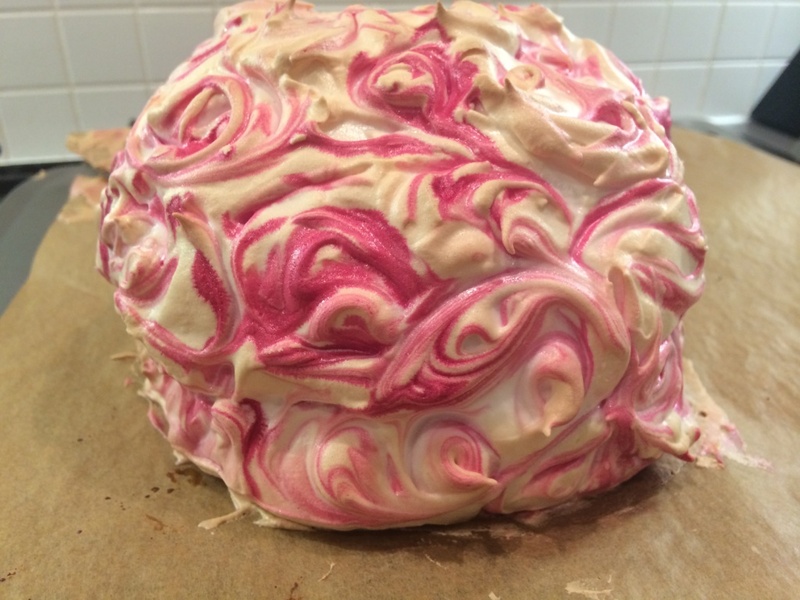 Alternating spoonfuls of the mixture went into the mould, finished with a quick swirl from a cocktail stick – to give a marbled strawberry cake. Simple, right? With my oven heating up itself and apparently the entire kitchen at the same time, I began to realise how the GBBO bakers had got so fraught in the tent. Trying to construct a dessert is one thing, doing it neatly quite another, and whilst the whole thing is melting at the same time – it’s really rather easy to have a complete meltdown! Luckily everything just about held together. I’d originally planned to pipe some swirls, but lo and behold had run out piping bags, so food colouring and a paintbrush it was. A quick 10 minutes in the oven and it certainly was looking good from the outside. A perfectly crisp meringue shell, and no tell-tale signs of ice-cream puddling out. And inside, well not bad at all I’d say! The ice cream only really started melting once it was cut and the layers looked pretty good for a first effort. A point to note that taking photos whilst making this rather technical bake is an added challenge – so sorry they’re not amazing! 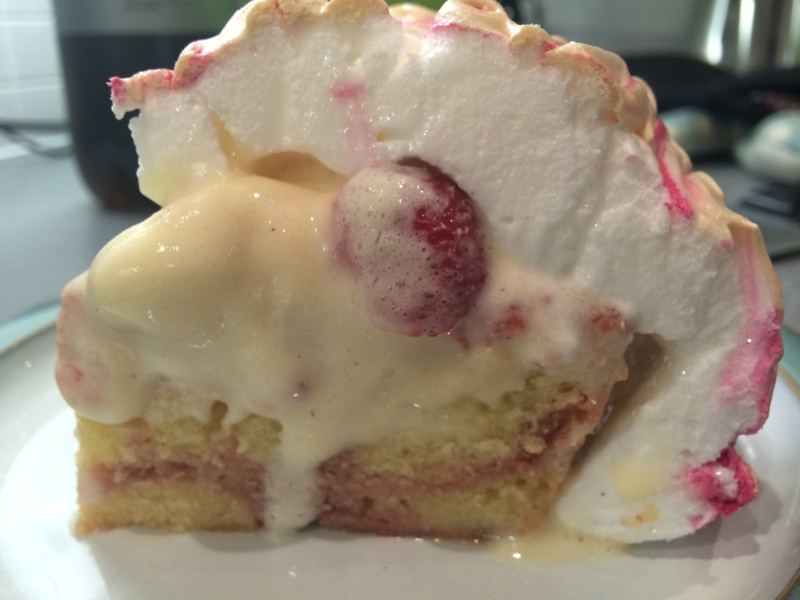 The taste was pretty good too – a great contrast between the crisp outer meringue, squishy inner, cold ice cream, and of course cake to finish. I’d definitely like to try it again. 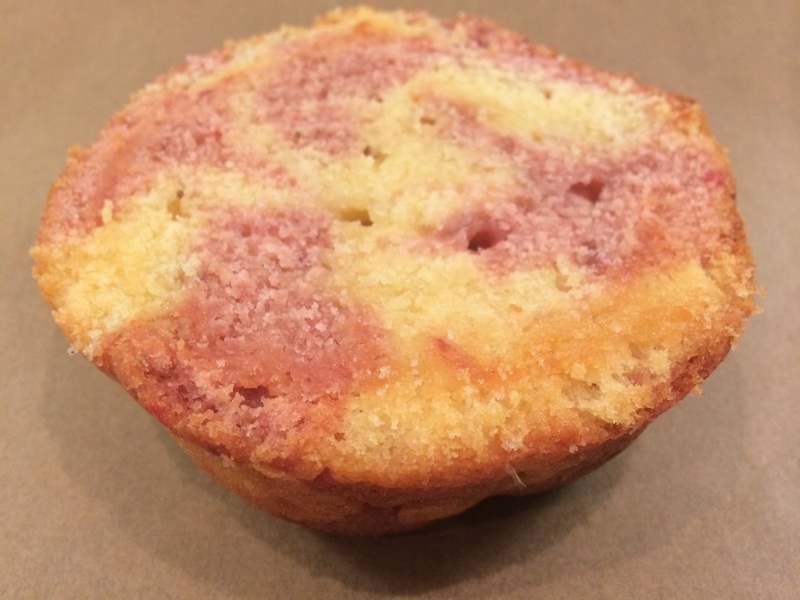 Check out Jenny’s blog to see how the other bakers fared with their desserts this week. 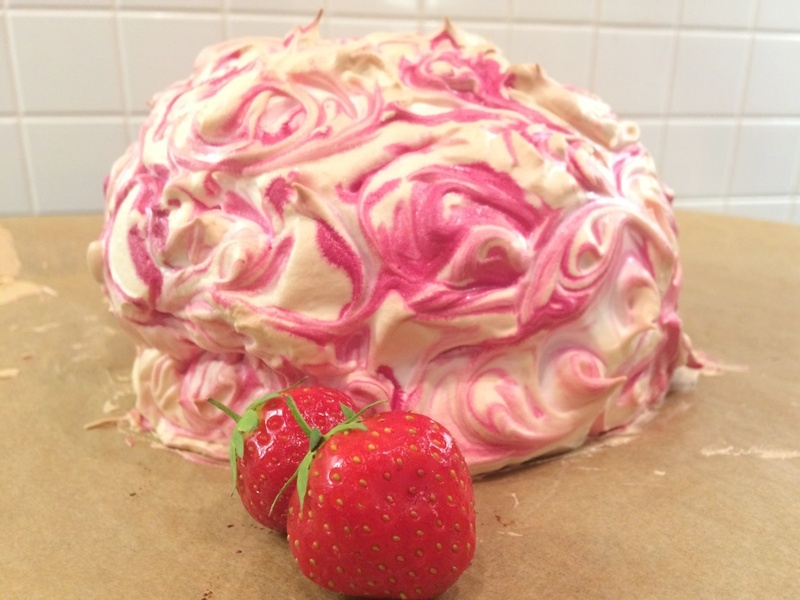 This entry was posted in Baking, Sweet stuff and tagged baked alaska, baking, desserts, gbbo, great bloggers bake off, meringue, strawberries by bakearama. Bookmark the permalink. Wow, you’re brave. 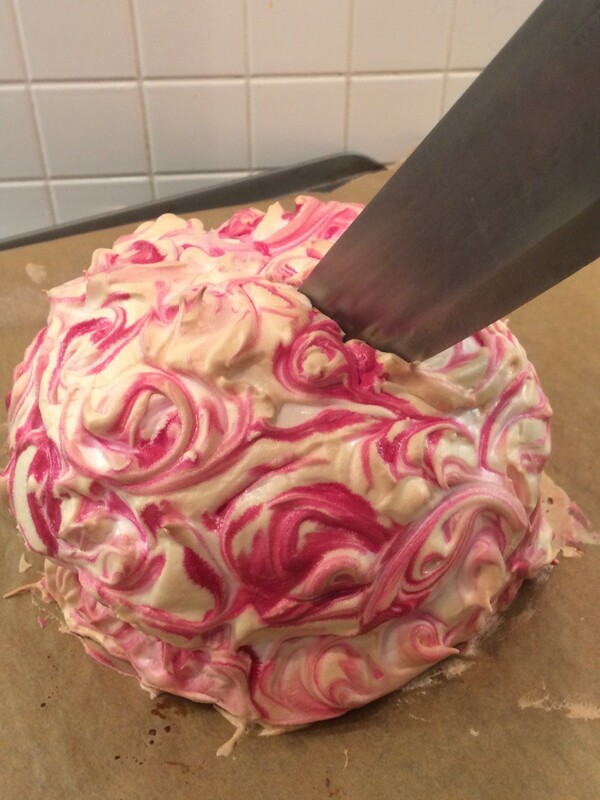 I’ve never had Baked Alaska either but I on the other hand have no intention of trying after watching GBBO! It looks way too stressful! Yours on the other hand I am very impressed with. Not only does it look great and sound deeelish, but you actually baked it in the oven like a pro! Well done. I’m in awe! Ah thank you, thank you! 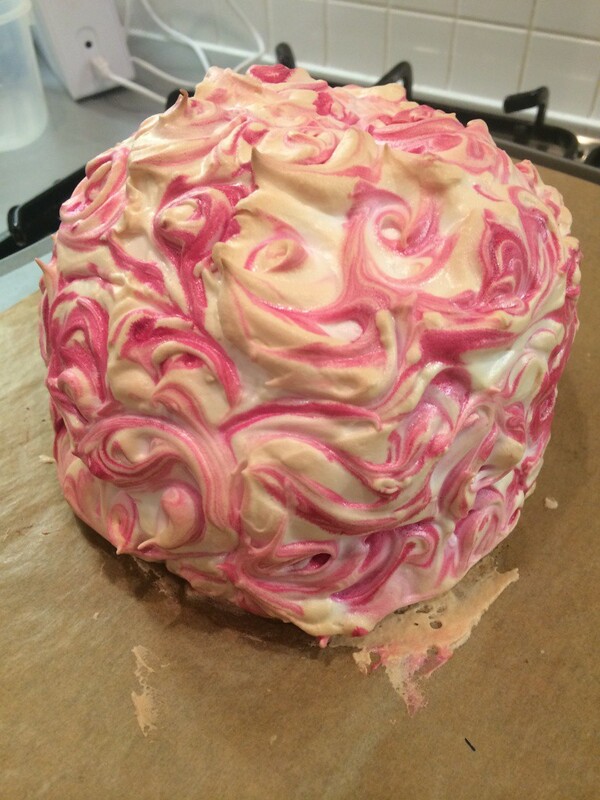 It wasn’t actually too bad, in truth I staggered it, making the cake one day and the meringue the next. But yes they definitely made it look very hard work – that tent looked absolutely manic!! I’m too scared to do a baked alaska! 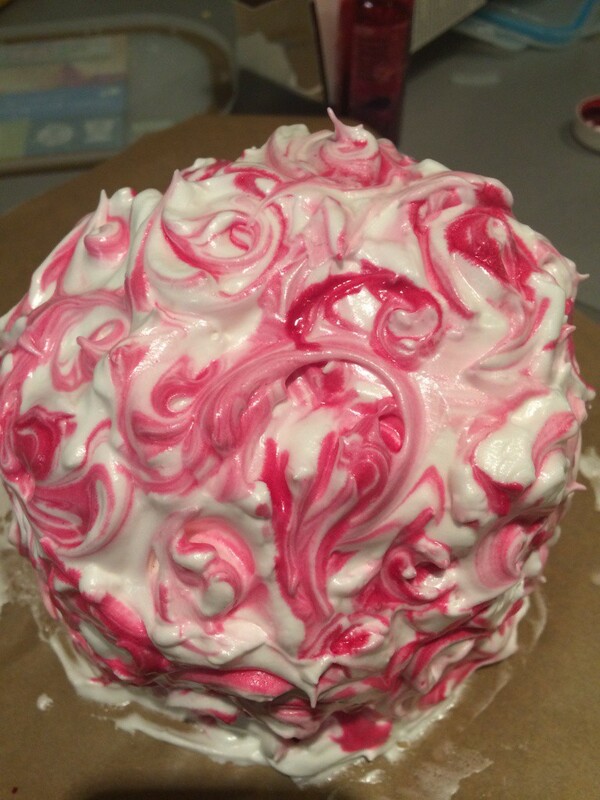 I’m loving the pink swirls! It looks gorgeous! When I watched teh GBBO I did not want to have a go at an alaska but since reading about a few from bloggers brave enough to have a go I do actually want to have a crack at it myself – maybe after the show has ended though! 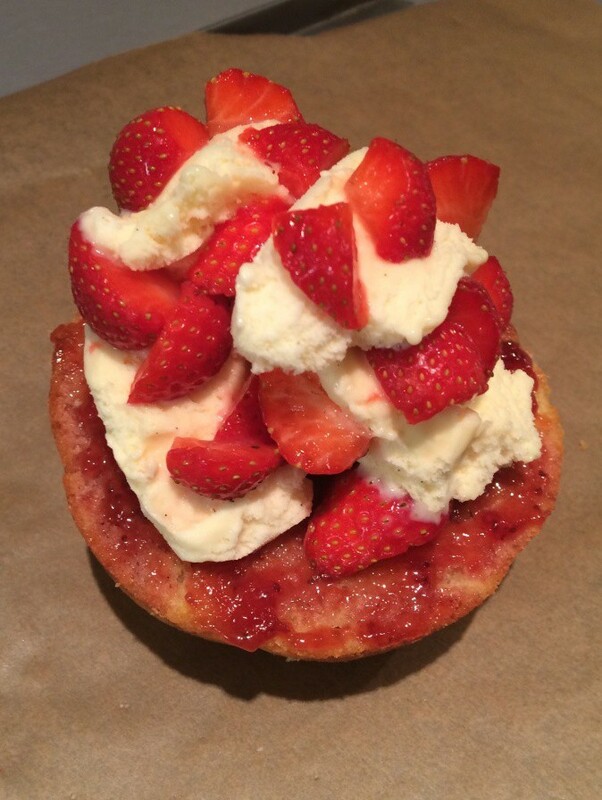 Wow, that’s quite a dessert, love all the different textures – yum!